Greenware is the term given to clay objects when they have been shaped but have not yet been bisque fired, which converts them from clay to ceramic. Greenware is unfired pottery. It is very fragile. Greenware may be in any of the stages of drying: wet, damp, soft leather-hard, leather-hard, stiff leather-hard, dry, and bone dry. At this stage, it is still possible to work the object by adding more clay, or wetting it so it softens and then reshaping it. Greenware should not be used as-is before firing in the kiln. At the greenware stage, you have formed your clay pot, plate, cup, or decorative object. You think that it is in its final shape before it is fired. You've taken the clay body through all of the kneading and de-airing processes and then shaped it into the form you want to achieve. Greenware is very fragile and any impact will damage it, breaking or deforming it. Greenware is also plastic enough that you can add water to soften it again for reshaping. You can add other elements to it, such as adding a clay handle, although you will need to consider how they will dry together. The drying process is critical for greenware. It can't be fired in the kiln until it is bone dry, or it could deform or break in the kiln. Your greenware needs to be dried with care to ensure that all parts of the piece are dry and that it dries evenly. 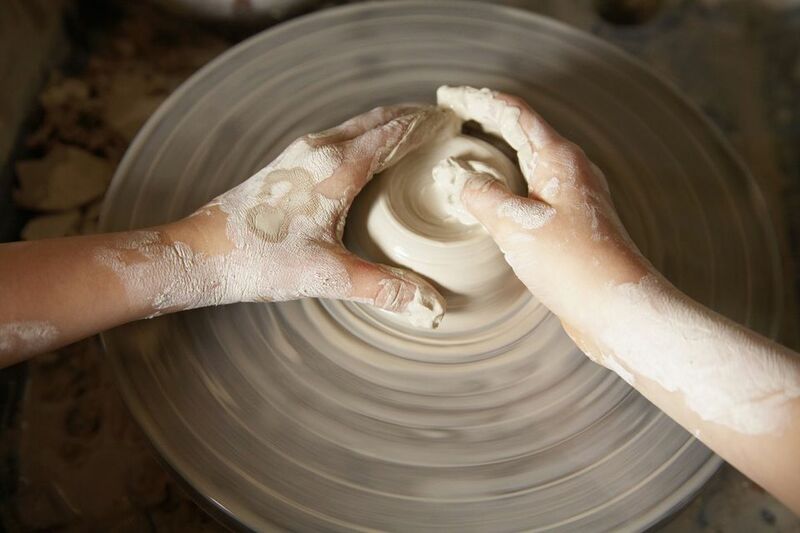 It's important not to force-dry pottery by blowing hot air onto it in an attempt to speed the drying process. Greenware is usually dried on racks or shelves that allow air to circulate between the objects. It is important to keep dust and dirt away from the objects, however, especially plaster dust. Lids need to be dried separate from their pots or jars by paper towel or else they may end up melded together. The drying process will go through stages from when it is still visibly damp but has dried enough to handle without deformation (leather-hard) to a final bone dry stage. When bone dry, the object will no longer feel cool to the touch. The coolness is due to water evaporating from the surface. Only when the object feels warm when you touch it to your wrist or forehead is it bone dry. Greenware can be incised while it is drying. It can also be cleaned once it is dry by rubbing with an abrasive. While some greenware will be fired before any glaze is added, you can decorate with underglazes before it is bisque fired for the first time. Slips and engobes can be used to decorate wet greenware, using a slurry of clay and coloring agents to add color and texture.